First staged as recently as 2003, and originally known as the Deutsche Bank Championship, the Dell Technologies Championship is one of the youngest events on the PGA Tour. Since 2007, it's been the second leg of the FedEx Cup Playoff Series and the field is made up entirely of players inside the top-100 on the FedEx Cup standings after last week's Northern Trust. Only 98 of the 100 make the line-up this week though with Rickie Fowler sitting out again because of an oblique muscle injury and Open Champion, Francesco Molinari, taking a rest. It's Labor Day in the States next weekend so as it does every year, the tournament runs from Friday to Monday. The top-70 in the standings after this week's event will move on to the BMW Championship at Aronimink next week. The Arnold Palmer designed TPC Boston only opened in 2002 but it's been tweaked a bit already. Gil Hanse made changes to the track in 2007, reducing its length by around 200 yards. The biggest change came at the 4th hole which was converted into a drivable par 4 (always the easiest hole on the course - last year averaged just 3.67) and further changes were made prior to the 2012 renewal, in an attempt to toughen-up the 18th. The green was raised by a couple of feet and it was halved in size but it didn't make an awful lot of difference, it's still a very good chance to end your round with at least a birdie though and it was the second easiest hole on the course 12 months ago - averaging 4.7. According to the PGA Tour website, the only change to the course ahead of this year's renewal is the removal of a fairway bunker on the par four 12th. Here's what Phil Mickelson had to say about the place a few years ago. "This is one of my favourite courses we play on Tour. I think it's one of the best courses we play on Tour. It's got a lot of character and definition, but more than that it's got a great mixture of holes, from long par-5s to reachable par-5s to drivable par-4s to really long par-4s, the fescue grass, the rough. It's just a wonderful way to play the game where you have such a great mixture of every club in your bag. You have birdie opportunities; you have tough pars as opposed to some courses nowadays where it's just hard, hard, hard. Hard is hard, but it's not great, it's not fun. But this golf course is a great golf course, and it's a fun golf course to play." The smaller than average bentgrass greens are always highly praised and they usually run fast, at around 12 on the stimpmeter. Live on Sky all four days with Featured Group coverage beginning at 13:30 UK time on Friday and full coverage starting at 19:30. What Will it Take to Win the Dell Technologies Championship? Given last year's winner, Justin Thomas, ranked third for Driving Distance and the 2016 champ, Rory McIlroy, hit it further than anyone else off the tee when he won, it would be tempting to think power is fairly important here but I'm not convinced. The three winners before Rory ranked 30th, 28th and 37th so while length is an advantage, it's clearly not imperative and neither is accuracy off the tee. The last three winners have ranked 58th, 41st and 26th for Accuracy so it's all about what happens after the drives at TPC Boston. Henrik Stenson hit more greens than anyone else when he won here in 2013 but the four winners since have ranked 50th, sixth, 18th and 13th for Greens In Regulation and the most important stats relate to scrambling and putting. Thomas ranked first for Scrambling and the five winners before Rory, who ranked a bizarrely bad 41st, ranked first, third, second, sixth and fourth for Scrambling. Unusually for Rory, he found his touch on the greens two years ago - topping the Putting Average rankings for the week - and putting looks key. Rory was the 10th winner in 11 years to rank inside the top-seven for Putting Average. Thomas ranked 12th last year. Another area where McIlroy strayed from the norm was on the par fours. He made hay on the long holes and he only ranked 55th for Par 4 Scoring but that's usually the scoring stat to take notice of. Thomas played the par fours better than anyone else last year and in four of the last five years, the players to rank first and second for Par 4 Scoring have been placed. Thomas won here after finishing sixth in The Northern Trust after he'd won the US PGA Championship in his previous start so he came in to the event in fabulous form and the winners of this event have nearly always enjoyed a good season but interestingly, the seven winners before Thomas had all had a sizable blip in the first Playoff Series event and it's as if that had woken them up again. Reading backwards, here's how the seven had performed in the Northern Trust - 31-MC-53-43-24-10-27. You don't get in to the second Playoff event unless you've had a decent year so the vast majority of winners have been in great recent form, having often accrued at least one victory, but those stats suggest we should definitely forgive a bad week at Ridgewood last week and it's going to be interesting to see if Thomas' win was a one-off. When a tournament is as young as this one we can look at its history in its entirety and so far, 12 of the 15 winners have been fairly well fancied but we've still had three shock winners. Kirk was matched at [250.0] before the off four years ago and very few would have fancied Olin Browne in 2005 or Charley Hoffman in 2010. But it's perhaps worth noting that Browne won the tournament before it became a playoff event. Thomas was a [28.0] chance. Vijay Singh and Rory have both won the tournament twice but Thomas will be attempting to be the first to defend. Since the FedEx Cup Playoff Series began in 2007, eight players have won two of the four events in the same year but only once has someone won the first two (Singh in 2008). Could Bryson DeChambeau repeat the feat? Thomas was tied with Marc Leishman after three rounds last year but he was just the second 54-hole leader or co-leader to convert since 2005 so taking on the leaders with a round to go could be well worth doing. In fact, taking on the leaders from the get-go might make sense. First round leaders and co-leaders have won just twice (Tiger Woods in 2006 and Steve Striker in 2009) but they both fell out of the lead before rallying to win and only seven of the 20 players to lead or co-lead after round one have finished placed. Dustin Johnson led after the opening round 12 months ago and he was matched at just [2.66] but he ended up finishing 18th and Woods led here after day one in 2005 but finished 40th! Taking on the first round leaders in the win and place markets may prove a profitable strategy but if last year is anything to go by, taking on anyone that gets in to contention makes sense. In addition to DJ hitting [2.66] on day one, halfway leader, Jon Rahm, was matched at [2.72] during round two and Leishman and Jordan Spieth both traded at odds-on in round four before getting beat. Leishman was matched at [1.5] and Spieth at [1.68], and yet Thomas eventually won by three! If you're going to trade the tournament in-running, the differential between scoring on the two nines in round four last year was incredible and it's definitely something to bear in mind. The front nine is much easier than the back nine and nobody advertised that better than Leishman. He went out in 30 and came home in 40! And Spieth's round was almost as unbalanced. He too played the front-nine in a six-under par 30 but he limped home with a three-over-par 37. Although he's won four FedEx Cup events, Dustin Johnson is yet to win the Series and despite threatening to do so, he's also yet to win this tournament. It's perfectly correct that he should head the market given how well he's been playing this summer but he's been frustrating to follow and hard to gauge since he failed to convert a four-stroke half way lead at the US Open. He missed the cut in the Open Championship, won the Canadian Open, and he finished fast to grab third at the Bridgestone Invitational but in his last two starts, at the US PGA and The Northern Trust last week, he's fallen away over the weekend having started nicely. He's a bit of an enigma at present and I'm happy to swerve him. It's hard to pick holes in the defending champ, Justin Thomas. His current form figures read 1-6-8 and his strike rate is ridiculously good. He's been in-contention for three tournaments in-a-row and that could be a slight negative and of course, defending is never easy, but Thomas opened his PGA Tour account by winning back-to-back CIMB Classics so that shouldn't really put anyone off. Brooks Koepka has now won three majors but only four PGA Tour titles and he lost his way after striking the front last week. His course form figures read MC-57-18 but last year's 18th would have been far better but for 74 in round one so it would be wrong to think the venue doesn't suit him. He hits it a country mile and usually scrambles and putts well so dismiss him at your peril. The market is struggling to split Jason Day and Rory McIlroy but I much prefer the later. He putted well when finishing second in the Open Championship and sixth in the WGC-Bridgestone Invitational but he took last week off after a poor performance on the greens saw him finish 50th at the US PGA Championship and that's the big concern. He putted well when winning the Arnold Palmer back in March and when finishing a disappointing fifth at the US Masters, having sat second with a round to go, but for much of the year, a cold putter has held him back. Although history suggests I should be concentrating on the market leaders, nobody really sticks out as great value and I'm happy to begin the tournament backing just Bryson DeChambeau and getting three outsiders onside. 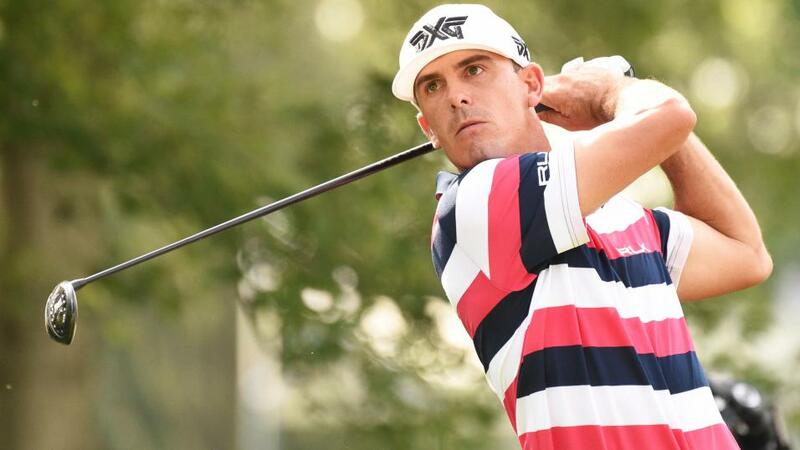 Billy Horschel finished second here before winning the last two FedEx Cup events in 2014, over the last three months on the PGA Tour he ranks fifth for Scrambling, 22nd for Par 4 Scoring and in his last two starts he's finished 11th in the Wyndham and third in The Northern Trust last week. I thought [75.0] looked tasty. Ryan Moore missed the cut last week, after finishing sixth at the Wyndham, so he needs to bounce back but as demonstrated above, that's been done before on numerous occasions. He's finished inside the top-12 here four times previously and over the last three months on the PGA Tour he ranks first for Scrambling and third for Par 4 Scoring. And finally, I've thrown a few pounds at Danny Lee at a monstrous price on account of the fact that he ranks fifth for Scrambling and 12th for Par 4 Scoring over the last three months on the PGA Tour. I'll be back on Friday with the In-Play Blog.